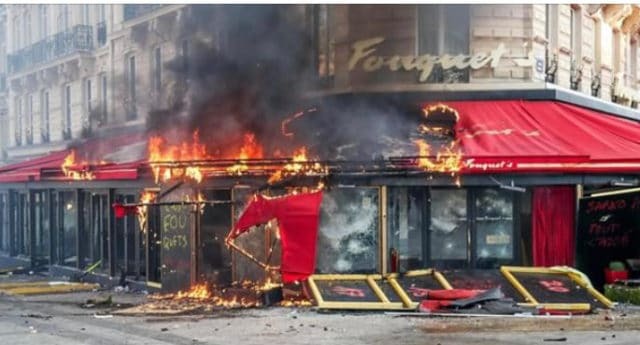 As Paris braces for another Saturday of Yellow Vest demonstrations, we spoke with French Chef Pierre Landet about the destruction of restaurant Fouquet on the Champs-Élysées, and how the French hospitality community feels both heartbroken and angry about the escalating violence. 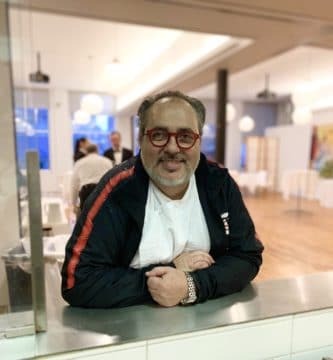 Chef Landet had just returned from Paris a few days before the Yellow Vests set Fouquet afire, and he’s had friends who have worked there over the years as well. He spoke not just of the Fouquet fire, but of the closing of shops out of fear caused by the Yellow Vests. 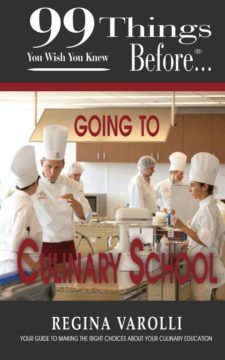 As well as speaking with Chef Landet, CulEpi Editor-in-Chief Regina Varolli communicated with Pastry Chef Florian Bellanger of MadMac Macaron, who expressed his frustration as well. “It’s a shame what’s happening in Paris every Saturday now. This destruction really has to stop.” Bellanger noted that Fouquet employed three-hundred people. Both chefs Landet and Belanger, as well as the French restaurant community in New York City, are distraught over the situation in Paris and the suffering of the people at Fouquet.